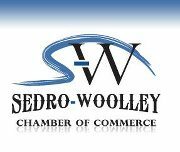 Sedro-Woolley Auto Parts is a locally-owned auto parts store in the Sedro Woolley, WA 98284 area, specializing in Batteries, Counter Services, Custom Paint Services, Hoses, Machine Shop, Paint Brands, Paint Supplies & Services and Refurbishing Supplies since 1938. We hold ourselves to a higher standard, and will make sure that you get the best parts and customer service available. We use the latest technology to assess the situation and offer you alternatives. We guarantee all of our parts and know you'll be happy with the product. Stop in or give us a call at 360-855-0341 to let us know how we can help you!